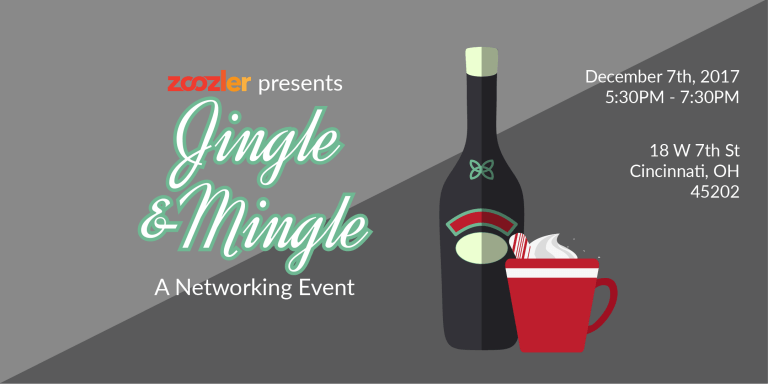 Tech the halls with Zoozler this holiday season at the most festive networking event in Cincinnati. Enjoy free drinks and appetizers while schmoozing in a winter wonderland. Cincinnati OH – November 17, 2017 – As the year comes to a close, we’d like to take a look back at all of the great accomplishments of the Cincinnati Startup community. From funding and innovation, to new employees and building a wonderful community, there are so many things to celebrate this year. Join us for a special networking event, and make sure to bring your holiday cheer, as we will also be collecting donations for Child Focus, Inc. Holiday Giving Tree Program. Although it is not necessary, we would like to encourage you to bring non-perishable food, or personal care items to be donated. Child Focus Inc. is a local non-profit providing comprehensive solutions and supportive services to children and their families across Ohio. To learn more about Child Focus Inc, please click here: bit.ly/2yIxZra.